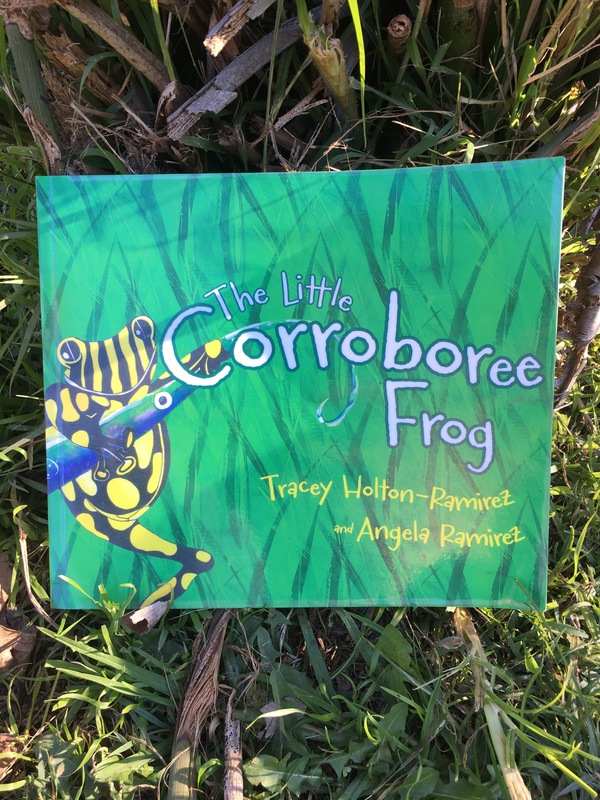 The little Corroboree Frog by Tracey Holton-Ramirez and Angela Ramirez | Educate.Empower. Which frog is less than 3cm in length, walks instead of jumps and loves eating ants? It is the Southern Corroboree Frog! The little Corroboree Frog by Tracey Holton-Ramirez and Angela Ramirez (published by Magabala books) is a wonderful picture book that tells the sad yet hopeful tale of a family of Southern Corroboree Frogs who live in the Kosciusko National Park. This little froggy family love eating ants and seeing who is the best at croaking but when they try to care for their new tadpole eggs the pond dries up and rubbish hangs around nearby. With the help of a small boy and his family the Southern Corroboree Frogs dismal outlook brightens and awareness is raised in the wider community. Every child I have read this book to has loved it. They have loved the bright illustrations and the story – which has encouraged nearly every child to jump online or into a book to find out more about these frogs. Taronga Zoo has an ongoing and successful breeding program and This Corroborree Frog website provides lots of useful information about how the frog is being helped and how you can help too! Take the time to find this book so you can raise awareness with your child about these small invertebrates and how despite being so small, they play such an important role in our environment. We need to teach our children about how every little thing we do has a huge impact on the wildlife around us. Hold an event for National Threatened Species day on September 7th. Create your own story about an endangered animal so you can raise awareness like this book has. I love frogs. This sounds like a gorgeous book. Pingback: Read, talk, do – the corroboree frog – Educate.Empower.